SUNDAY, Nov. 11, 2018 (HealthDay News) -- A simple pop-up alert on a computer screen could help save the brains and hearts of many hospital-bound people with an irregular heartbeat, a new clinical trial reveals. Rates for heart attack and stroke plunged by close to 90 percent in people helped by the new program, the study found. The computer alert warns doctors of the high stroke risk borne by individual patients who suffer from atrial fibrillation, a quivering heart rhythm that allows blood to pool and clot inside the heart. Doctors who received this alert were nearly three times as likely to prescribe blood thinners to hospitalized patients with a-fib, said Dr. Gregory Piazza, a cardiovascular specialist with Brigham and Women's Hospital in Boston. As a result, rates for heart attack and stroke among the a-fib patients fell by 87 percent and 88 percent, respectively, over the three-month trial, Piazza's group reported Saturday at the American Heart Association's annual meeting in Chicago. The magnitude of the reduction in risk of these life-threatening health problems surprised researchers, as it was "really beyond what we expected to see with the increase of anticoagulation," Piazza said. Blood thinners are very important to prevent stroke in a-fib patients, but prior studies say at least 30 percent have not been prescribed such a medication, researchers said in background information. For this study, Piazza and his team created a program that analyzes computer chart data of patients with atrial fibrillation to calculate what is known as a CHADS-VASC score. 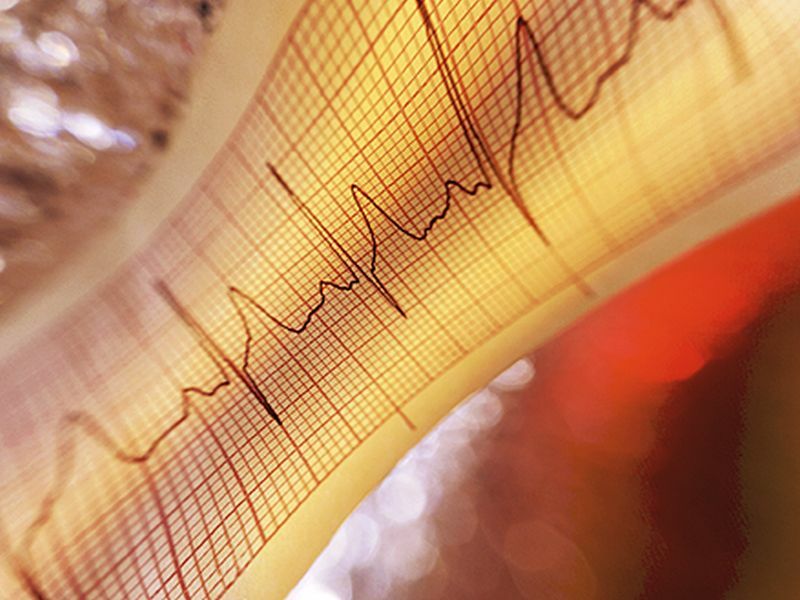 This commonly used diagnostic algorithm assesses risk factors for stroke in a-fib patients, said Dr. Mary Norine Walsh, medical director of the heart failure and cardiac transplantation program at the St. Vincent Heart Center in Indianapolis. The test program issues a pop-up alert to doctors indicating that their a-fib patient has a high CHADS-VASC score. It even estimates their annual risk of stroke. The pop-up then requires doctors to either prescribe a blood thinner or give a reason why such a medicine shouldn't be used. Possible reasons include "bleeding risk is too high," "patient is at high risk for falls," or "patient refuses anticoagulation." To see whether the alert would make a difference, the researchers randomly assigned 458 a-fib patients so about half would have their records reviewed by the program. About 19 percent of patients in the alert group had a prescription for blood thinners during hospitalization, at discharge and three months later, researchers found. By comparison, only 7 percent of the control group had been prescribed blood thinners. By three months after hospitalization, the alert group had a dramatic effect on patients' odds for heart attack or stroke, although that didn't translate to a lessening of the death rate, the team noted. Still, the study showed that reminder systems like this actually really work to cut the odds for cardiac events, said Walsh, who is president of the American College of Cardiology. "We as physicians can't keep everything in our brains all the time," she said. "It's clear in medicine if we have reminders, we more commonly prescribe drugs and take action." But even though doctors are moving toward the use of electronic health records, it's not clear how easily hospital data centers could incorporate such an alert into their usual systems, Walsh said. "All electronic health records could do it probably, but not all are set up to do it," Walsh said. "I can tell you, my electronic health record doesn't do this kind of thing. It's not an automatic thing that happens." Adding such an alert system might be costly for some hospitals, Piazza added. "Implementation of alert-based [computerized decision support] requires an investment in programming and medical informatics infrastructure which may not be available at some medical centers," Piazza said.